One Community, Many Parts… Where can you share your gifts? Rockmont staff make an incredibly positive and lasting impact on a child’s life. In which staff position will you have the greatest influence? Preference and a financial bonus are given to those residential staff who can work the full summer season. 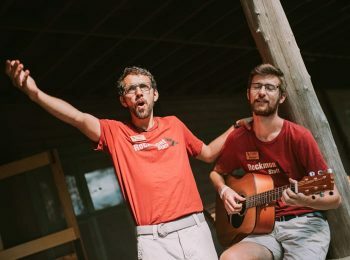 A resident summer camp is a working community and requires many different staff positions to run successfully. 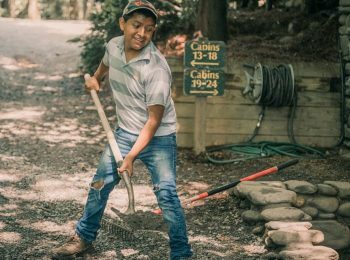 In addition to a Program Staff member’s primary tasks, each individual will be assigned additional responsibilities that support the overall camp program. 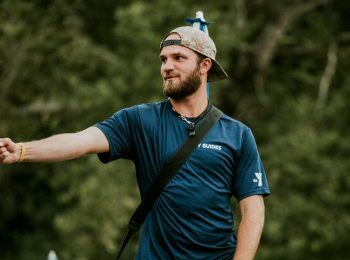 The various jobs performed by the Program Staff are essential for the overall operation of the camp, and it is important that all members maintain an attitude of willingness to serve the greater camp mission. Centered on Lake Eden, Waterfront Lifeguards supervise all waterfront activities as well as canoeing and stand up paddleboarding. Responsibilities include orienting our community to the waterfront area, being vigilant and enforcing waterfront safety, conducting regular buddy checks, and performing waterfront maintenance. 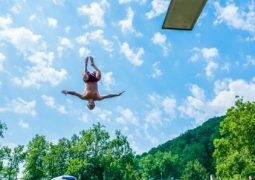 Additionally, they engage campers through skills such as Swim Sports, Swim Stroke Development, and Swim with the Lifeguards. Waterfront Staff will take the Red Cross Waterfront Module during Staff Training and participate in regular in-service trainings throughout the summer to review waterfront rescues, practice risk management, and promote physical conditioning. Waterfront Lifeguards will be assigned additional program responsibilities. 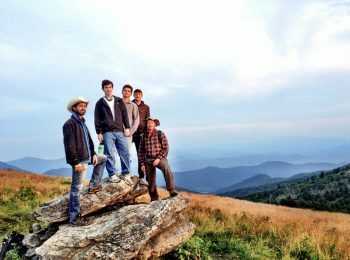 The Service & Leadership Corps is an exchange program specifically designed for 16-18 year olds as a bridge between the camper and staff experiences, though no Rockmont experience is required. In exchange for service in the dining hall and kitchen and assistance with program activities throughout camp, Corps members receive job training and experience, personal leadership training, outdoor adventure opportunities such as mountain biking, rock climbing, skiing, hiking and more, a weekly expense stipend of $75, and room & board. Corps members must commit to working the entirety of one of two SLC sessions (June 7 – July 12 OR July 12 – August 9). The Photographers/Videographers have the special privilege of documenting summer memories for campers, their families, and staff. 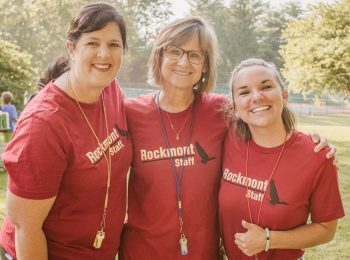 In order to effectively capture important moments, these staff members must be fun-loving, affable, and able to reveal their subjects in ways that tell the story of Rockmont. Using creative genius, they are responsible for taking, uploading, and organizing digital photos as well as producing several videos throughout the camp season. 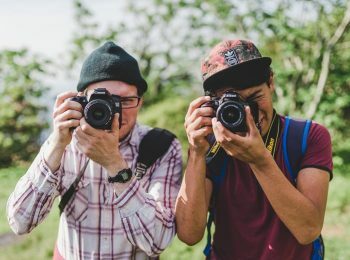 These staff members must be organized, self-motivated, technologically savvy, and able to lead or assist the camp’s Photography skill. Applicants for this position will be required to submit a portfolio of their work demonstrating their proficiency. Photographer/Videographers will be assigned program responsibilities. 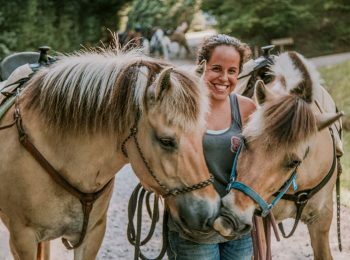 The Horseback Staff teach lessons during skill periods and prepare campers for half-day trail rides. They provide instruction in the riding ring which includes the fundamentals of horse care, general safety around horses, and riding basics. 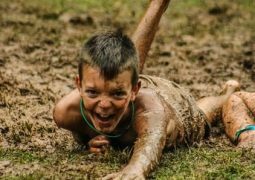 They also guide campers through riding obstacles that are appropriate for each camper’s determined riding ability level. Members of our Horseback Staff must have prior riding experience. Additional responsibilities include performing barn chores and general upkeep of the stables. Resident staff members will be assigned additional program responsibilities. 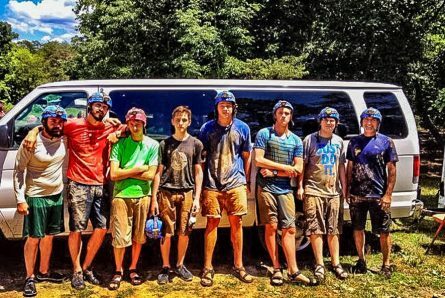 The Kitchen Crew fuels the fun at Rockmont. Literally! 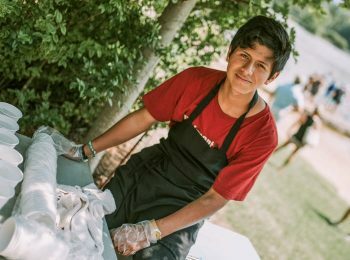 Under the direction of our Kitchen Supervisors, this behind-the-scenes crew helps with food preparation and food service for approximately 550 people each meal. Additionally, they perform a variety of clean-up duties including dishwashing, sweeping, mopping, etc. The Kitchen Crew rises early in the morning to get ready for breakfast, and finishes their work in the kitchen following the dinner meal. These individuals must be team players, safety conscious, and take pride in their service. ServSafe methods will be trained and practiced. Resident Kitchen Crew Members will be assigned additional program responsibilities. It’s been said that the most memorable days end with the dirtiest clothes. If that’s true, then Rockmont provides many memorable days and offers job security to our Laundry Attendants. These staff members typically begin their days in the laundry room after breakfast and work right up until dinner (and sometimes after)! Resident Laundry Attendants will be assigned additional program responsibilities. 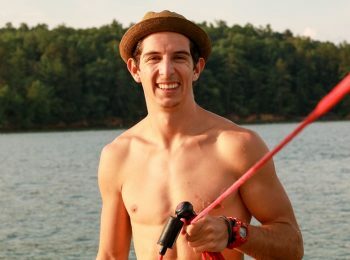 The Watercraft Trip Leaders take campers out on kayak, raft, or Lake James day trips. They must be patient teachers, supportive coaches, and safety-minded professionals. Those leading ski trips must be competent boat drivers and will participate in a thorough boat and safety orientation that includes supervised boat operation. 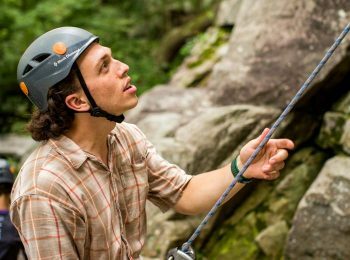 Camping and Climbing Crew members primarily facilitate campouts, belay and manage the climbing wall, and assist with off-site climbing trips. 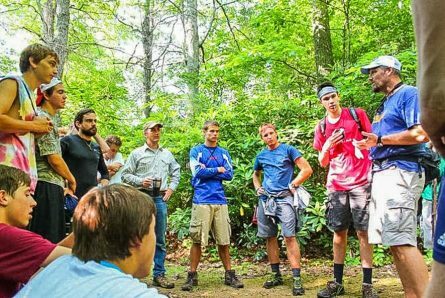 Facilitation of campouts involves preparation of the meals and supplies for campouts (both Tribal and Cabin Campouts), maintenance of the group campsite, and creation of a fun and safe environment for campers to explore the natural world. Crew members will also work in rotation with off-site climbing trips and the climbing wall, as assigned by the CCC Director. Crew members should be self-motivated workers who are comfortable in both large group settings and small group instructional settings. [Watercraft Trip Leader or CCC] will be assigned additional program responsibilities. This position is for those who are administratively-minded and detail-oriented. The Roundhouse is our summer office and responsibilities there include answering the phone, greeting visitors, sorting the mail, delivering messages, and blowing the bugles (no, you don’t have to play the trumpet). 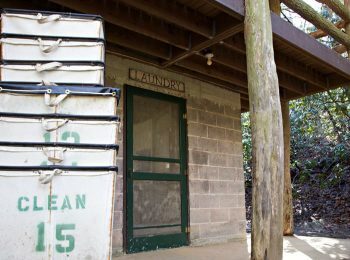 Additional tasks will be assigned in the main camp office. Professionalism, good phone manners, and a positive attitude are essential traits for staff serving in this role. Resident Office Assistants will be assigned additional program responsibilities. Skill Instructors are responsible for leading or assisting one or more instructional activities. Instructors must have a love and demonstrated aptitude for the activity they lead, and must be proficient at managing group dynamics and logistical coordination. They must be creative, self-motivated individuals, who are patient teachers and well-organized leaders. Skill Instructors work closely with an activity’s Skill Head in creating and following a lesson plan. Resident Skill Instructors will be assigned additional program responsibilities. The Work Crew is made up of individuals who are hard working, service minded, and task oriented. 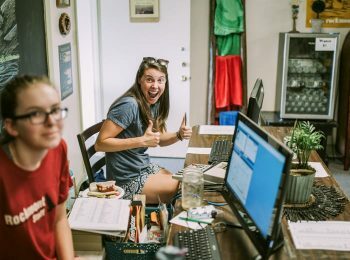 They must be passionate about the camp mission, willing to learn new skills, and understand that their behind-the-scenes work is important to the overall functioning of camp. Work Crew responsibilities are divided into two primary groups: programmatic tasks such as providing cabin coverage and operating the Zip Line, and project assignments such as building or repair jobs. 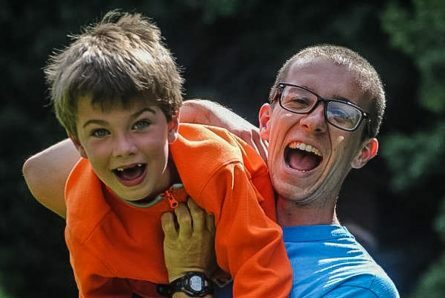 Cabin Staff serve as mentors to a group of 8-13 campers with whom they live. 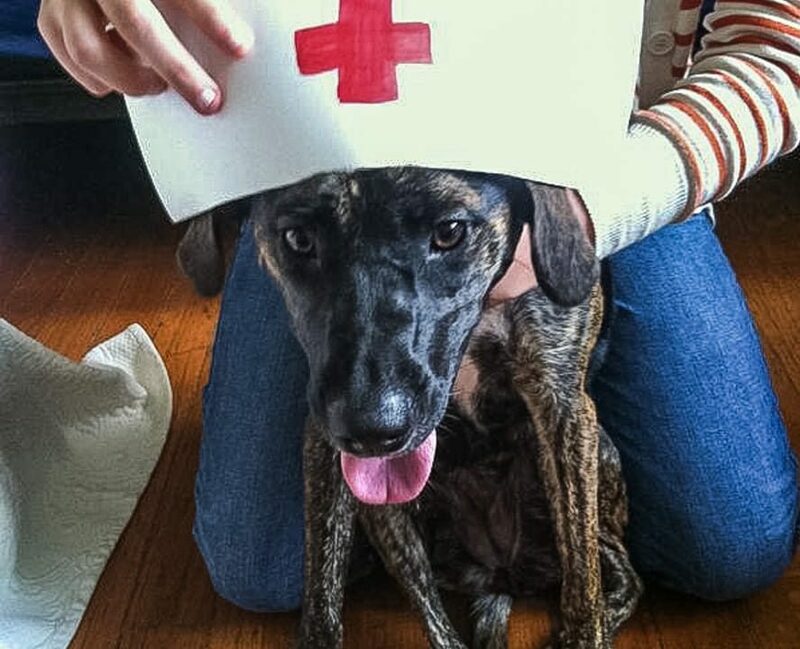 Applicants must have a sincere desire to work with children and are on call 24 hours/day. 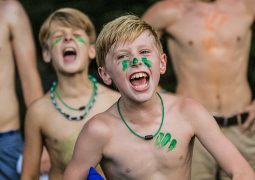 Daily responsibilities include building positive relationships, leading activities, playing hard, guiding cabin devotions, promoting self-discipline and self-awareness among campers, safeguarding campers physically and emotionally, and more. 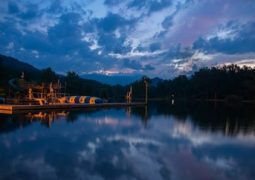 Each cabin staff member will also teach or assist with one or more Rockmont skills based on his skill set, interests, and the needs of camp. 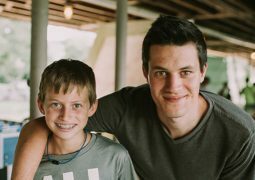 Mentors, Elders, and the Coordinator for the Catalyst Leadership Training Program are mature men who have been initiated into a life of service toward others. They have a desire to see 16-17 year olds make a healthy transition from boyhood to manhood. Their leadership requires wisdom, passion, and the ability to hold ground throughout the challenges this program presents. 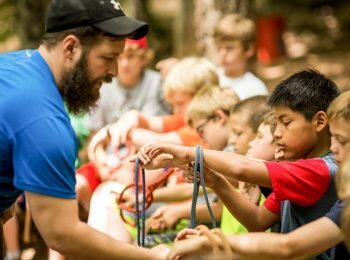 Day Camp Staff guide a “pod” of 5 to 10 boys and girls as they discover new skills, explore the natural world, and build community each weekday from 8:30am to 5:00pm. 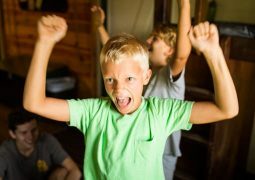 Pod Leaders and Assistants use waterfront play, outdoor adventure, group games, and other activities to inspire creative learning and personal growth for each child. Resident Day Camp staff will be assigned additional evening and weekend program responsibilities. The Health Center Staff attends to the physical well-being and care of the campers and staff. They are responsible for checking-in and dispensing camper medications, providing basic camper care for injuries and illnesses, and informing camp staff and parents of health concerns as needed. Health Center Assistants provide transportation for campers and staff to local doctors’ offices and assist with general Health Center duties such as making beds and cleaning the facility. 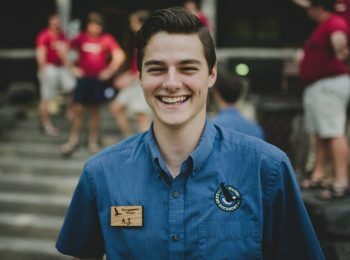 Members of the Summer Leadership Staff are selected based on their previous work experience at Camp Rockmont or in other youth development professions. This group comprises about 8% of our summer staff and is responsible for the oversight of various aspects of the camp program. 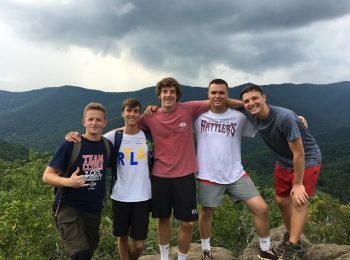 Summer Leaders provide direct guidance for their teams which includes training, supervision and evaluation, enforcing disciplinary action with campers and staff when necessary, and representing and promoting the mission of Camp Rockmont. Initiative, drive, self-motivation, positive attitude, organization, and excellent communication skills are all necessary qualities. 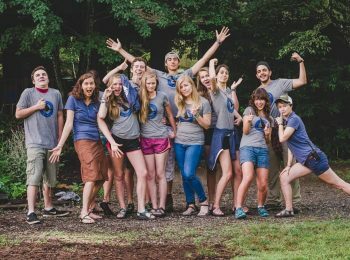 Summer Leadership Staff positions include Camp Directors, Day Camp Directors, Tribal Directors, Waterfront Director, Work Crew Coordinator, SLC Director, Transportation Director, CCC Director, and Resident Assistant.